MY Lauren L, 90m foil application to 120 windows for privacy and heat control. ” The windows look great and the interior temperature has lowered. 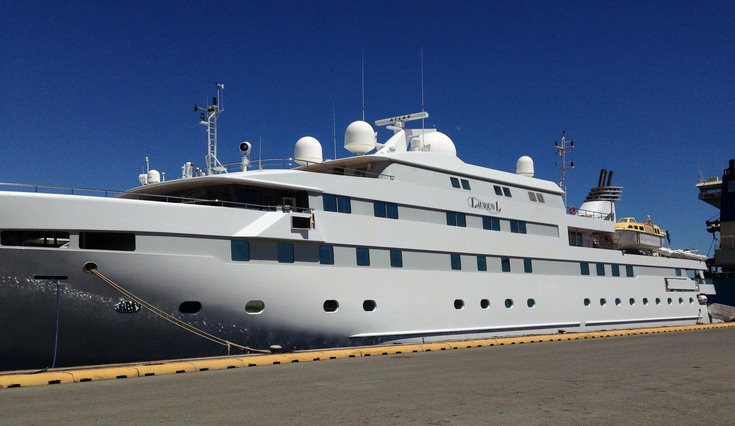 We are now seriously considering substantial work to the exterior and other yachts within our fleet.” comments Titan Fleet Management. The air-conditioning had been struggling and couldn’t keep up. Titan Fleet management asked the team to apply a mirror effect to the inside of the windows to alleviate the problem. The mirror effect was to fit in with the paint scheme and to allow for privacy. Clear foil is also highly recommended for these types of projects. 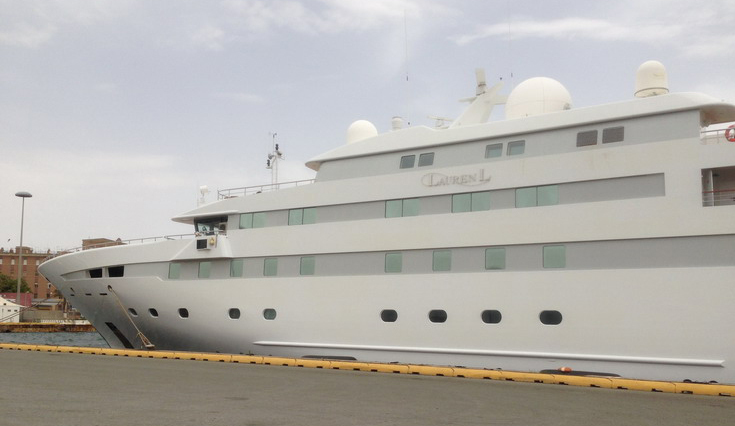 A mirror effect specialist window foil was applied to 120 of the 90m motoryacht Lauren L’s windows last month. 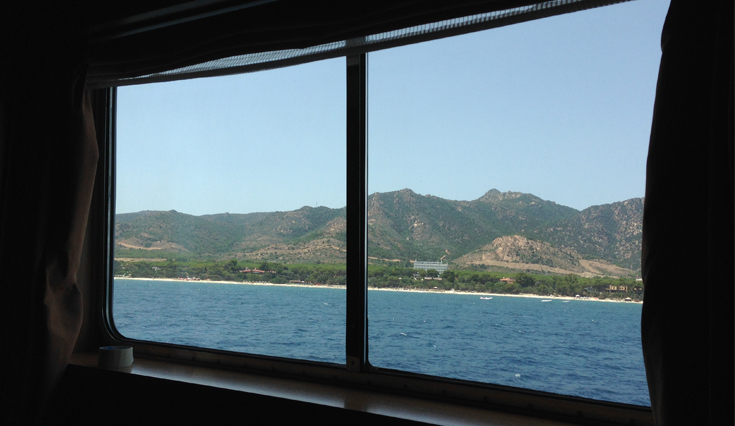 The project took place in Sardinia, taking six days to complete. Works were carried out between charters maximising time on the water with minimal disruption.